Med Palms are ideal for use where a degree of tropical diversity is sought. 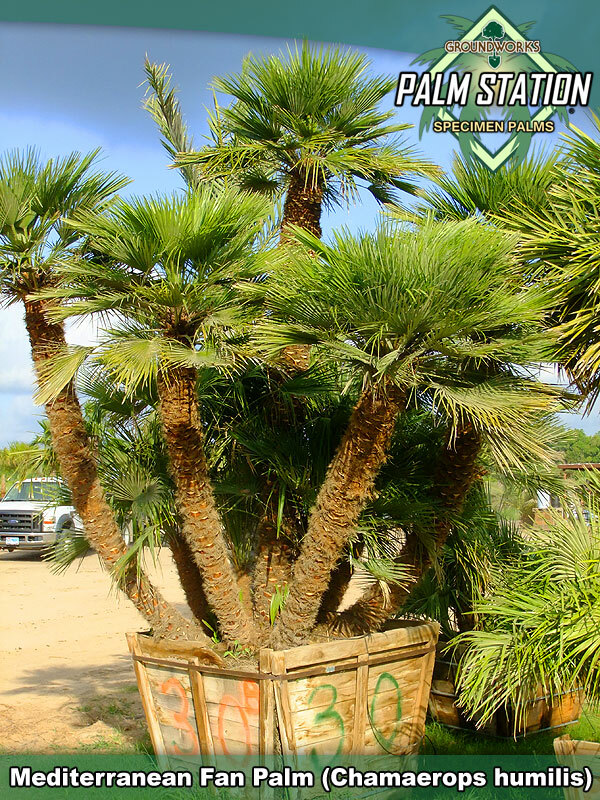 Med palms are cold tolerant to at least zone 8A and are available as single trunked specimens or in a variety of incredibly beautiful multi stemmed specimens. Smaller Med's are terrific for use as an accent on site and mature specimens are individually unique masterpieces that will anchor the landscape while instilling a "one of a kind" perspective on site. Groundworks stocks mature and individually unique specimen Med palms in sizes up to 18' with 10-15 stems. We also have thousands of younger Med's under production at our farms in Alvin Texas. Cold tolerant, beautiful and often totally unique; this palm is stunning to behold and is a safe landscape investment. Green, blue-green, or silvery green canopies of 15-30 leaves. Mediterranean Fan Palms are slow growing, typical height of 10 feet. Trunks approximately 1 foot in diameter. 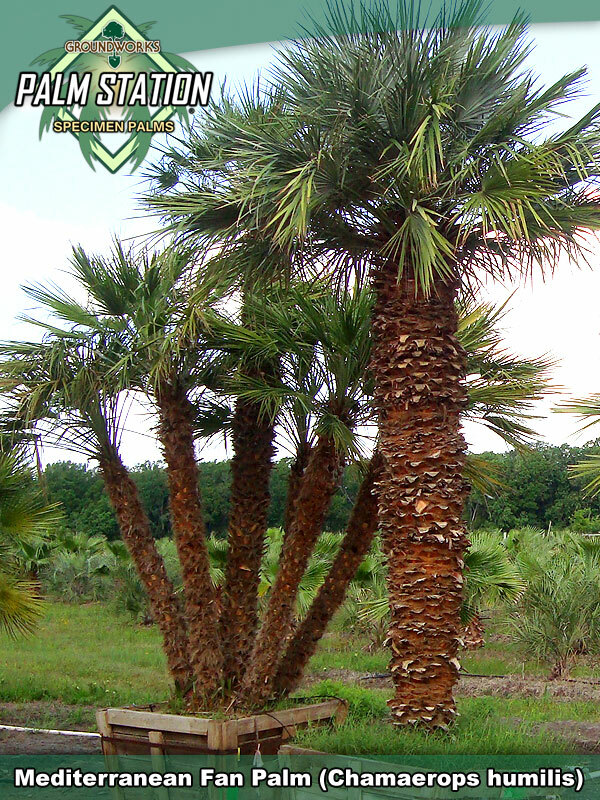 Groundworks stocks Mediterranean (European) Fan Palms at our Alvin and Spring locations. We invite you to come by one of our facilities for a cup of coffee and a walk through the palms.